With Outside Lands right around the corner, and the daily lineups already revealed, there was but one last lineup we still needed to see: the GastroMagic stage! If you’re not familiar, the GastroMagic stage pairs celebs from music, entertainment, and sports with some of the biggest names in the culinary world for live on-stage cooking demos, oftentimes with hilarious results. 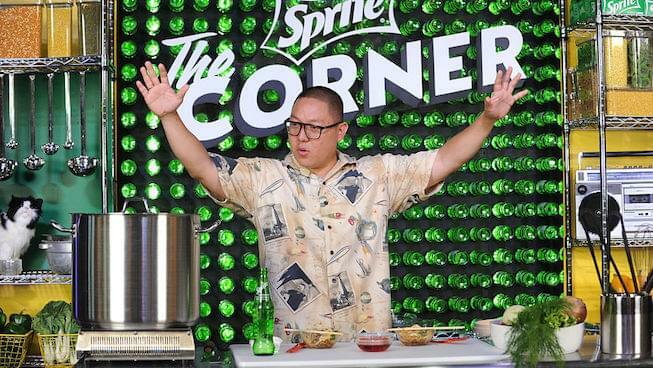 Culinary stars on the stage this year include Vice’s Matty Matheson, Eddie Huang, and Melissa Chou, Pastry Chef at San Francisco’s Mister Jui’s. Some of the non-culinary guests on the GastroMagic stage include some big names as well with Portugal. The Man and Bill Nye topping the list along with legendary DJ and Bay Area native DJ Q-Bert. Check out the full GastroMagic stage lineup below.